BELLEVILLE – For the next week, candidates will be campaigning for a seat on Loyalist College’s student government. There are twice as many candidates as last March, with 26 students running for the 10 open positions. Police Foundations student Tristan Estabrooks, who is running for justice studies leader, said this may be due to better advertising. “I had barely heard of it last year, but now it seems to be everywhere,” she said. Last year there were no candidates for a couple of positions, which meant a second election had to be held this past September. In one case, health sciences leader, there were still no candidates, so it was filled by appointment. Campaigning is a little trickier with so many candidates, because there’s only so much space for posters around the school, Cruickshank-Baker said. So she’s relying on online campaigning. “I’ve got my posters up as much as I could, but I’ve also got a Facebook page and I just keeping posting my poster on every platform,” she said. There has been a sharp increase in the number of international students seeking election. Chintan Surti of India is the current international leader, but is graduating this year. Other international students say his positive influence has inspired others to come forward and run for leadership positions. 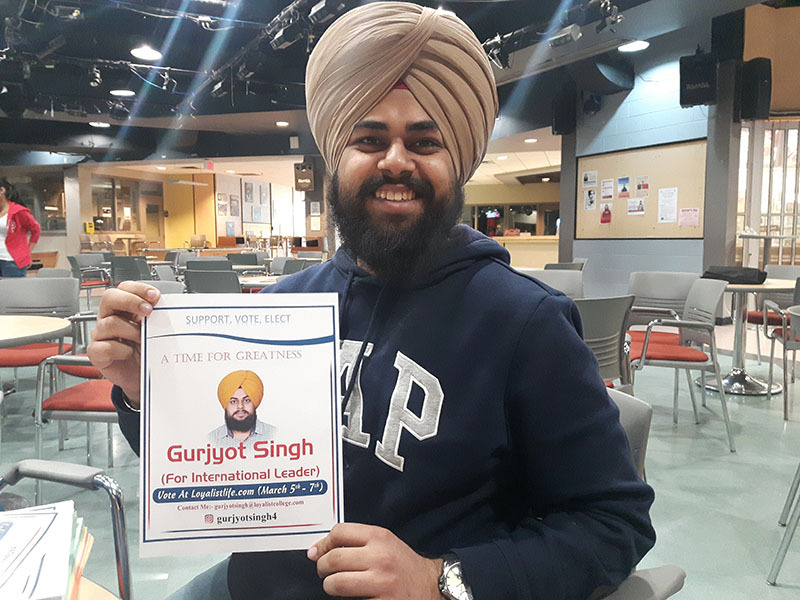 Guryjot Singh, a human-resources management student from the Punjab region of India, is running for the position that Surti’s departure will leave vacant. Cruickshank-Baker said it’s nice to see so many people getting involved. The election takes place next week. The voting is online and begins Monday. “It’s exciting. Running is always exciting,” Cruickshank-Baker said.